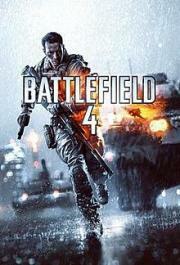 The best Battlefield currently on next-gen consoles. Balances, fun with a squad. C4 is way too powerful, my only complaint. This game did eventually get fixed but for a long while it was a broken mess. It's too bad because 3 had one of the better shooter multiplayers in a while. The single-player campaigns are still complete trash. I couldn't tell the difference between 3 and 4. Great game. I enjoyed the campaign as well as multiplayer. they bit off more than they could chew with all the weapons and equipment. sub-par mappack DLC's constantly fracturing the playerbase. Love it, played the heck out of it. The campaign is garbage, crashed and lost my save file about a dozen times also, the multiplayer is excellent though. One of the few games I play online. This was actually my entry into the series and after I played it I wasn't sure how people still play CoD. I know, technically they are different, it's just how I feel because they're both military shooters. Destructible environments, solid shooting mechanic, fun with vehicles, absolute chaos. Good times.